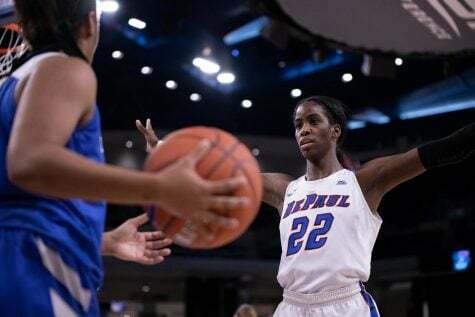 SOUTH BEND — DePaul women’s basketball head coach Doug Bruno often stresses that it’s hard to play against the Blue Demons because of how hard it is to simulate DePaul’s speed and pressure in practice. On Friday night in the first round of the NCAA tournament, Bruno was right once again. A furious second half rally saw the Blue Demons pull out a 79-72 comeback win over Minnesota at Purcell Pavilion. 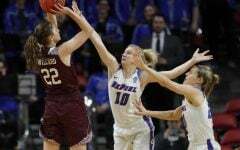 DePaul (27-7, 15-3 Big East) trailed by as many as 15 points in the second half before DePaul’s pressure wore the Gophers down. The Blue Demons went on a 17-4 run over a span of 5:30 to take a 51-49 lead with 11:29 left. 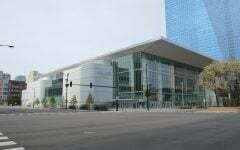 But it was the way DePaul cut into the lead that was impressive. The Blue Demons forced multiple five-second violations on the inbounds as well as forcing Minnesota to commit sloppy turnovers. By the end of the game, an exhausted Minnesota had 28 turnovers. Even when they were down, DePaul kept its composure. 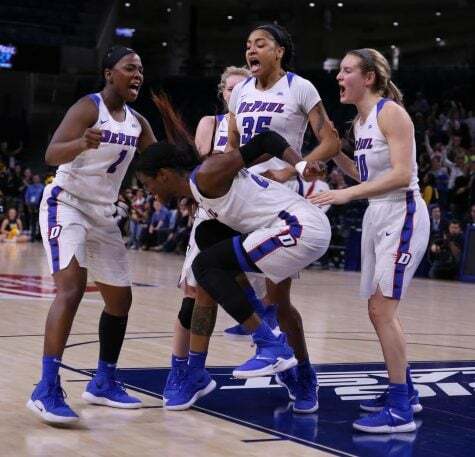 Simply put, DePaul, who has made 13 consecutive trips to the NCAA tournament, looked like a team that had been there before. 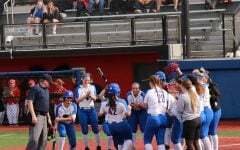 Over the course of a season, that ride Bruno referred to also saw the Blue Demons improve individually and as a group. 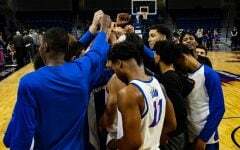 DePaul has now won 14 of its last 15, finding their rhythm in a similar way to how the Blue Demons reached the Sweet Sixteen in 2014. 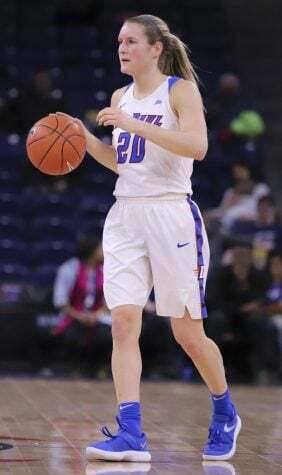 Perhaps no player on DePaul has grown more during this season than junior forward Megan Podkowa. 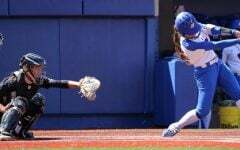 Her growth started in the last half of the season and a big Big East tournament performance saw her earn the Big East Most Outstanding Player of the Tournament. 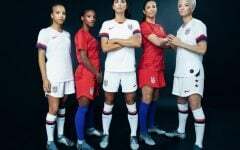 Tasked with replacing the inside presence of former forward Jasmine Penny, Podkowa has found her stride with her inside game. 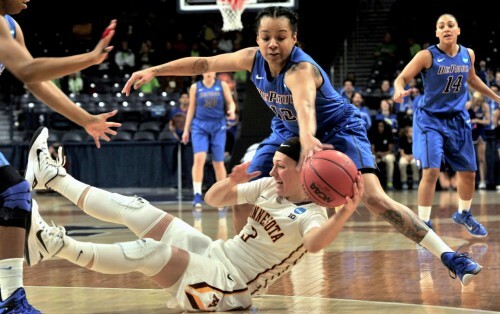 Against Minnesota’s zone, DePaul found Podkowa in the right position behind Minnesota center Amanda Zahui B. Yet part of Podkowa’s success is her versatility. 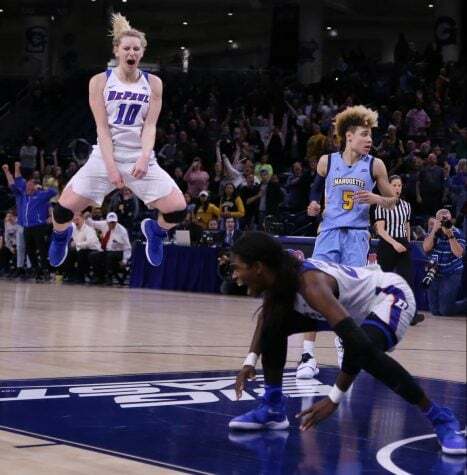 While she’s developed a game in the post, Podkowa’s best assets are her being able to make shots at the top of the key as well as from 3-point range. Podkowa led the Blue Demons with 23 points, 19 of those coming in the second half. After halftime, she went 6-of-7 from the field, including 3-of-3 from deep. 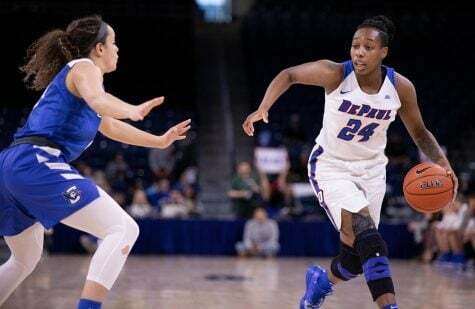 She was a large part in why the Blue Demons shot 52 percent in the second half compared to just 32 percent in the first. 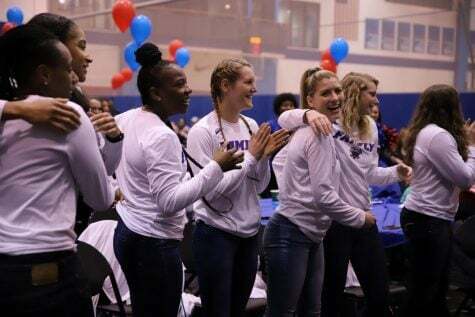 Podkowa and her teammates were also faced with the tall task of containing Zahui B, quite literally as she stands at 6-foot-6 and is regarded as one of the best bigs in the nation. Zahui B proved to be a handful, scoring 21 points and grabbing 22 rebounds. The sophomore center led Minnesota in both categories and was a large reason the Gophers went into the locker room with a 41-30 lead after the first half. 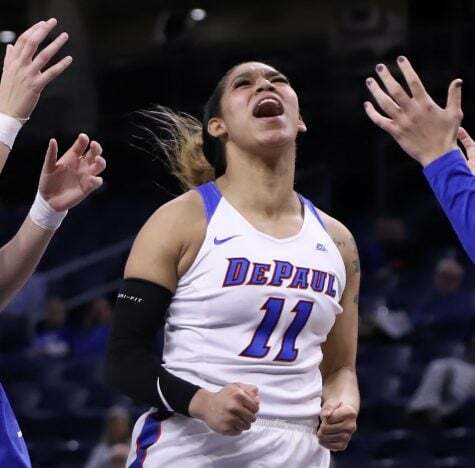 DePaul’s pressure and pace, however, had an impact with containing Zahui B. DePaul’s guards collapsed the paint, which left Podkowa open at the 3-point line. Zahui B kept chasing out to contest Podkowa’s shots, eventually tiring the sophomore. 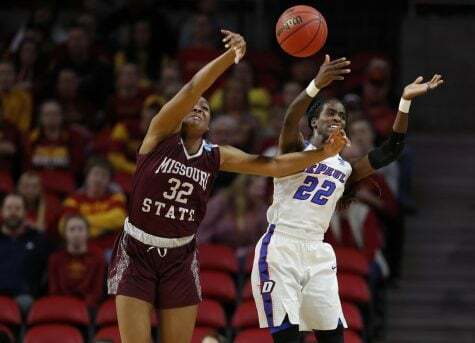 On defense, the Blue Demons double teamed her often and tried to make it as difficult as possible for her to score. “We were very confident in our pressure packages, and I think our coaches do a good job of teaching us them,” DePaul guard Chanise Jenkins said. “It allows us to exploit Minnesota’s offense at all times. We were never going to give up in games like this, even though we know Minnesota is a very good team. Jenkins was one of three other players besides Podkowa to finish in double figures. The redshirt junior had 16 points while Brittany Hrynko scored 10 and Brooke Schulte had 13. DePaul took firm control of the lead when Podkowa sunk a 3-pointer to give the Blue Demons a 67-59 lead with 4:34 remaining. Minnesota head coach Marlene Stollings said she was proud of her team despite the collapse. It was a special night for the Blue Demons, who also saw a University record broken. With Hrynko finishing with six assists, she totaled 676 assists all-time, surpassing Veronica Ross, who set the record in 1990. “To be the all-time assist leader in an era where we stress players only have four to five assists per game, it’s a phenomenal accomplishment,” Bruno said. 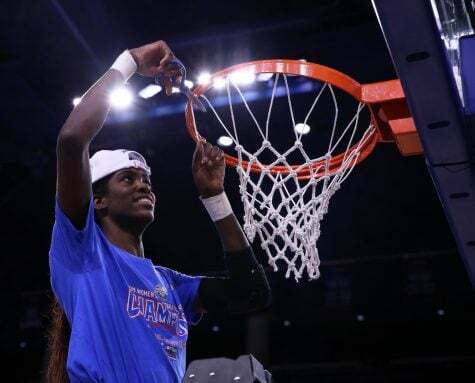 “She overcame a tough shooting night, and really facilitated there at the end to Chanise and Megan. 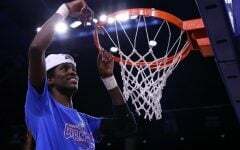 DePaul will face the winner of No. 1 seed Notre Dame and No. 16 seed Montana at 8 p.m. Sunday.